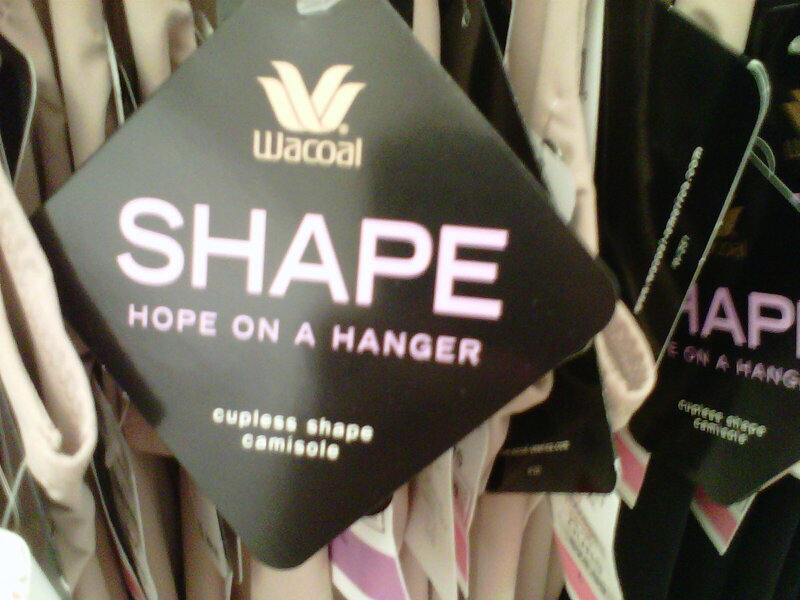 If you don’t have shapewear, do you lack without hope? Wacoal seems to think so. I guess this means that if you need hope you can find it at your area Filene’s Basement. This grooming implement makes big promises: Shape, Trim, Transform. Duane Reade and CVS, selling metamorphic equipment. Who knew? 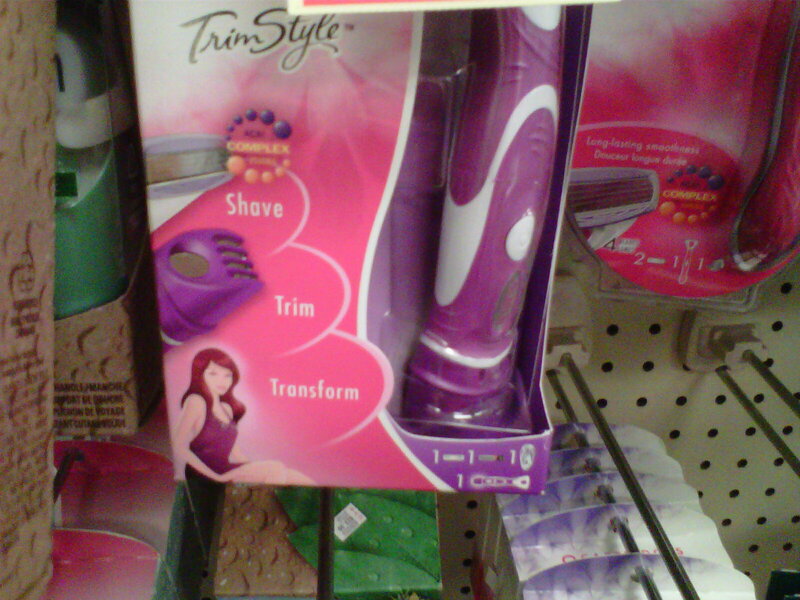 This entry was posted in Snark and tagged grooming, marketing failures, marketing to women, razors, shapewear, spanx on October 11, 2011 by onechicklette.